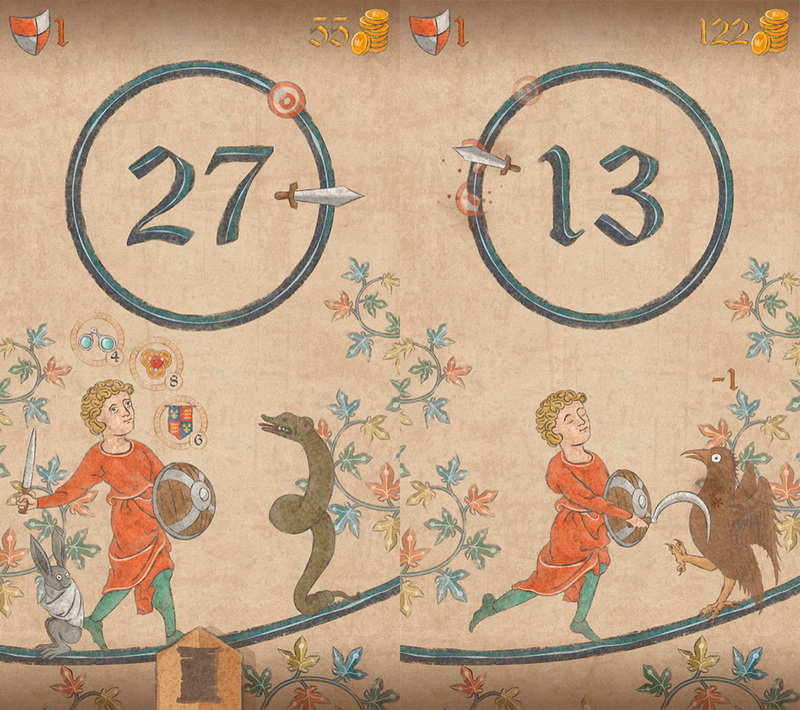 It's time to throw it back to medieval times with Marginalia Hero, a fun arcade game with illustrations that appear to be taken straight out of the middle ages. The vast world of Android arcade games covers a good selection of all different sorts of titles: both in terms of gameplay and visually speaking. These games with simple development belong to one of the most popular genres on mobile devices. And while we’ve seen similar ideas a thousands times before, the truth is that Marginalia Hero has surprised us. Its concept is nothing new but its looks have won us over for sure: it looks like it was taken straight out of a book of medieval illustrations. 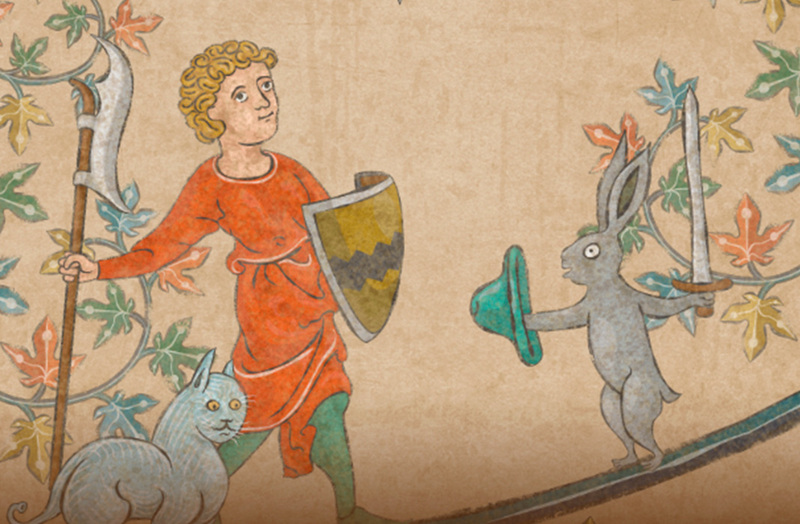 The melodies that accompany Marginalia Hero fully immerse us in the Middle ages, or in the romantic idea we have of Medieval times. 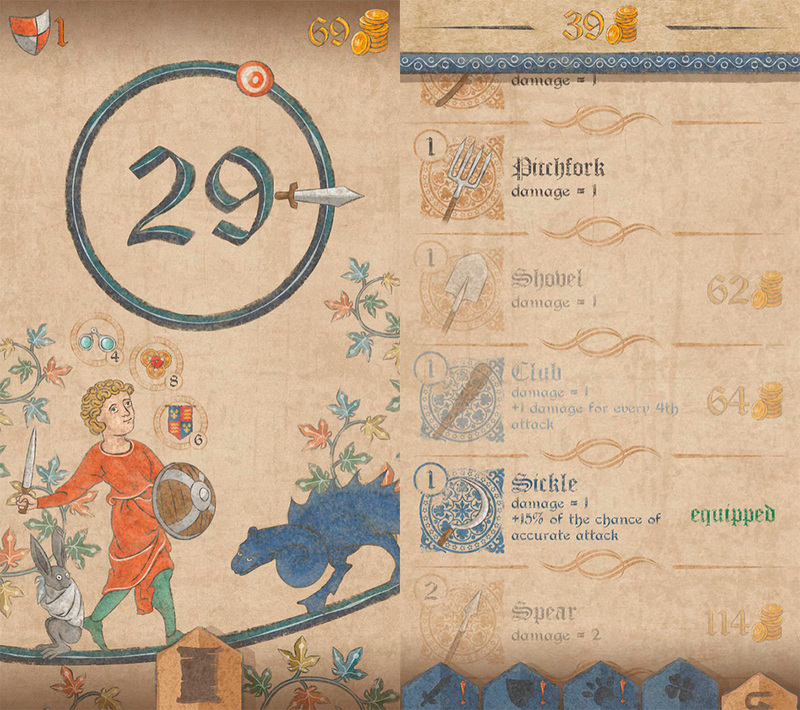 You objective in the game includes completing stages and more stages by simply tapping the screen at the exact right moment: when your sword reaches the different targets that appear in the circle at the top, you’ll strike the fantastic fauna sitting in front of you. You’ll find all different sorts of enemies that you’ll have to take down in order to continue advancing in the game. As usual in this type of game, things get more and more complicated as you go on. The main gameplay is incredibly well-known and your funds will increase if you manage to hit the targets precisely. With the gold you earn, you can buy new equipment and pets that will make your life easier. You’ll appreciate this when you have to face the different final bosses in the game. And trust us, their designs do not disappoint, either. Marginalia Hero may not break the mold in terms of gameplay, but its visuals put it above and beyond a ton of similar games. It’s not everyday that we come across a game with such an original look, so it’s normal that releases like this excite us. All it takes is one finger to play, making it an incredibly comfortable game to play and enjoy in any situation.